Join LatinoScoop at an exclusive advance screening of INCREDIBLES 2 in selected locations listed below. 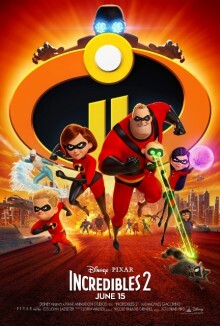 Send an email to screenings@LatinoScoop.com (Dallas & Los Angeles only) for a chance to win a screening pass for two or a 4-pack to attend the advance screening of INCREDIBLES 2 in your city. When submitting, enter your city name in the subject line and send your full name and phone number. LatinoScoop will select winners randomly. Winners will be notified over the weekend via email. There are limited number of seats available for each location. Seating is on a first-come, first-serve basis. The theater is intentionally overbooked by the studio to ensure a full house. Plan accordingly to arrive with enough time.